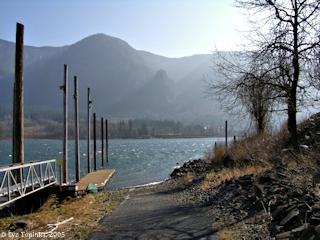 Click image to enlarge Duncan Creek as seen from Skamania Landing, Washington. 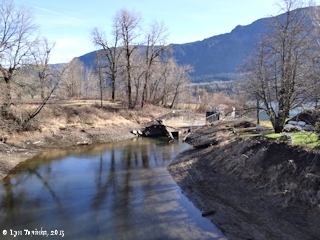 Image taken February 14, 2015. 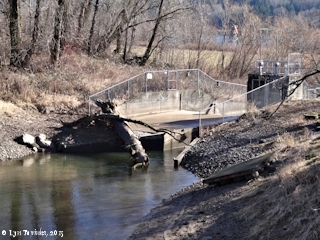 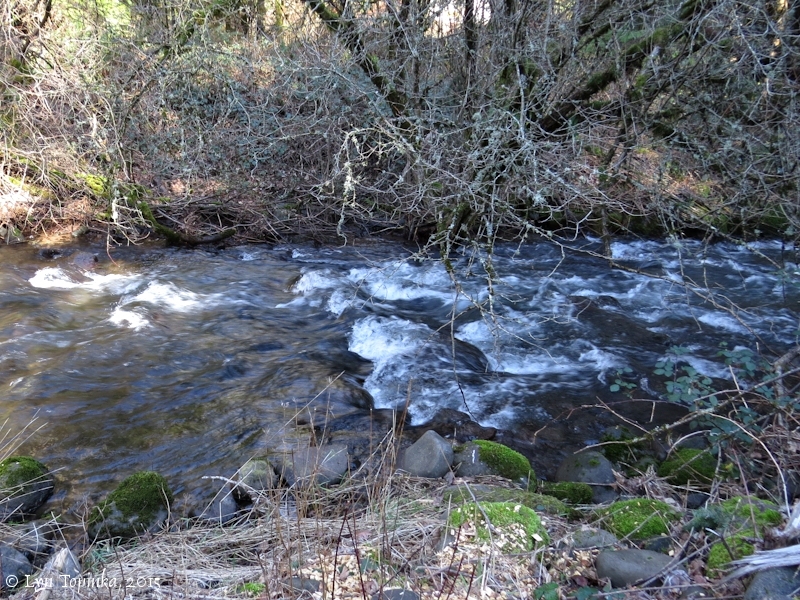 Duncan Creek lies west of Woodard Creek and enters the Columbia River at RM 140.5, on the east side of Skamania Landing. 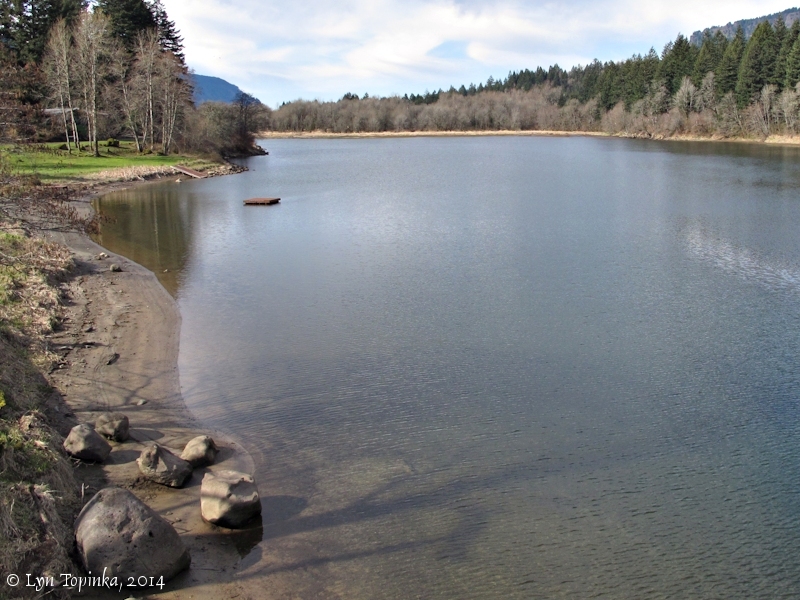 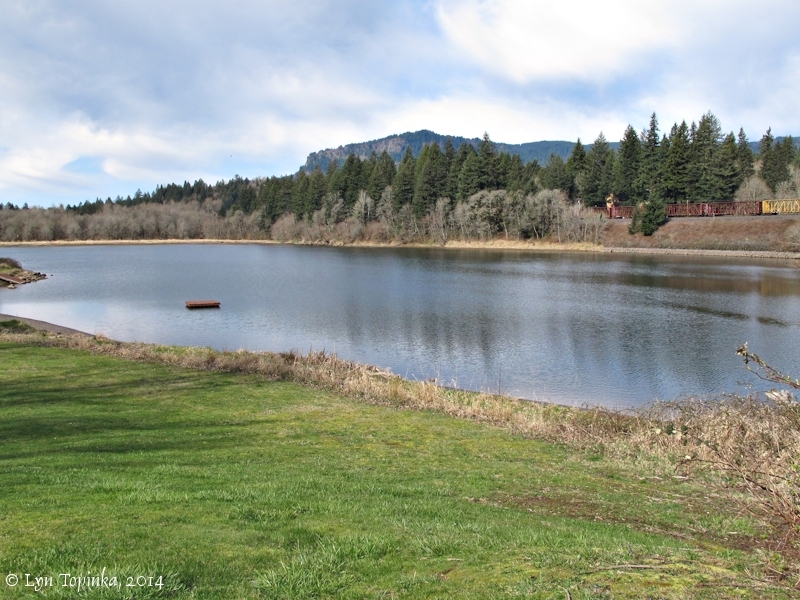 Before reaching the Columbia River, Duncan Creek flows southeast and then northeast into Shahala Lake, the reservoir behind the 120-foot-long Duncan Creek Dam. 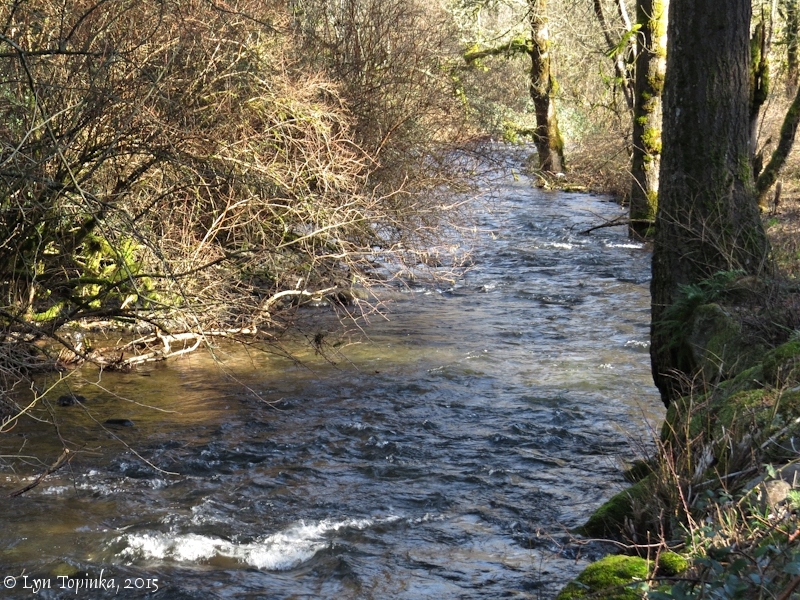 The Skamania General Store lies just upstream of Duncan Creek where the Creek crosses Washington State Route 14. 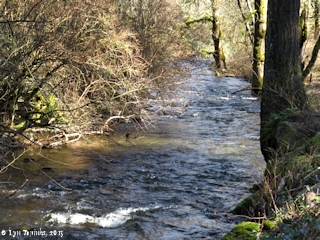 Lewis and Clark spotted Woodard and Duncan Creeks on November 2, 1805. On April 9, 1806, on their return upriver, Lewis and Clark stopped at the village between the two creeks. 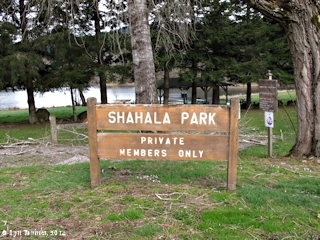 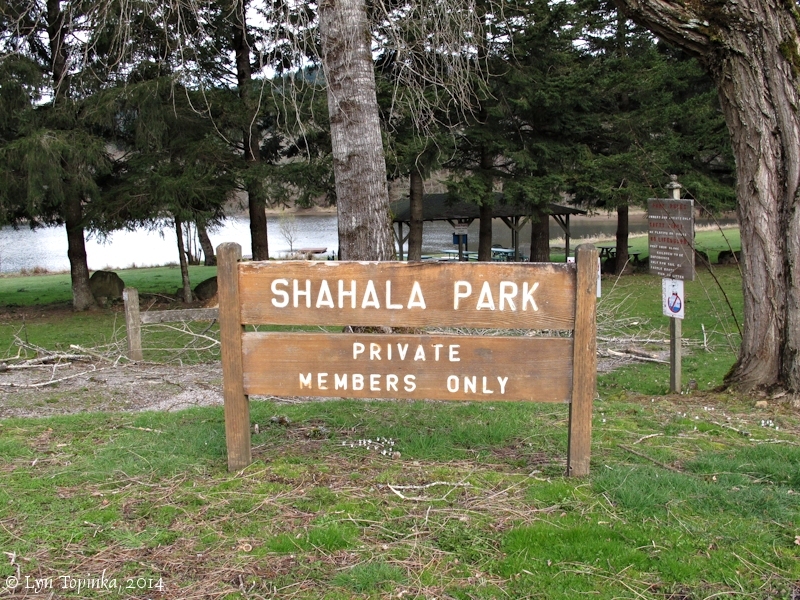 Today's Skamania and Skamania Landing are located near the location of that village. 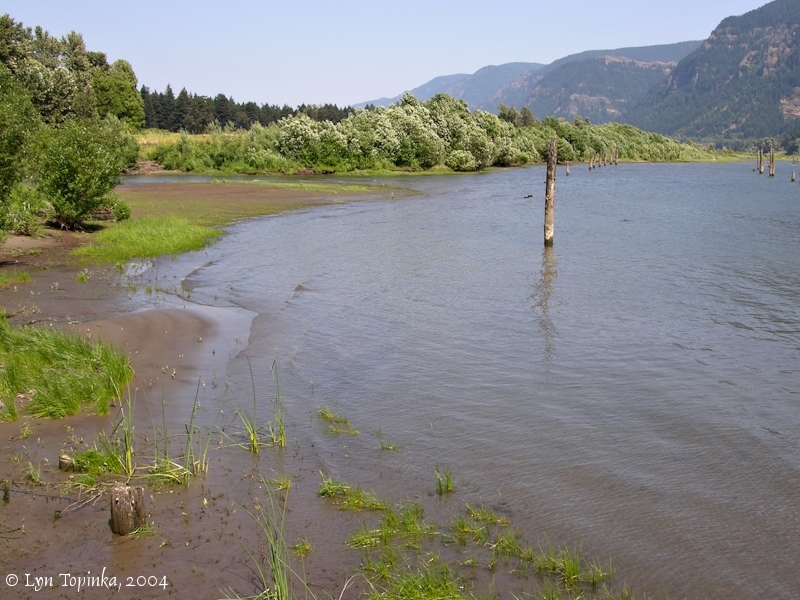 Click image to enlarge Columbia River shoreline upstream from Skamania Landing, Washington. 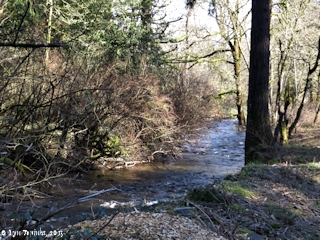 Drainage from Duncan Creek/Duncan Lake is visible on the left. View from the boat dock. 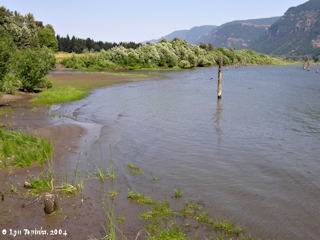 Image taken August 1, 2004. 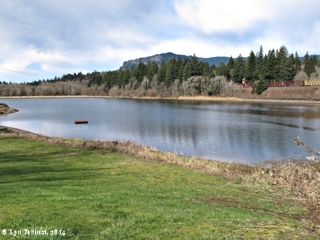 The 1911 U.S. Geological Survey's 1:125,000 topo map for "Mount Hood and Vicinity" has "Duncan Creek" and "Woodward Creek" named.